Rummy has been a part of the cultural fabric of Indian for many centuries. Indian rummy is also referred to as ‘Paplu’ and is a version of the original game. It is considered to be a mix of Rummy 500 and Gin Rummy. The three variants of Indian rummy which are most widely known and played are Pool Rummy, Deal Rummy and Point Rummy. All these versions are famously played on various Indian occasions, like weddings, festivals and parties. In the past, many people in the country had a misconception that playing rummy is the same as gambling but thankfully that has changed at a rapid pace. This has to do with the fact that the Supreme Court declared all variations of rummy as ‘skill based’ games. After this came to pass, more players have taken up rummy. So, with no further ado, we’re here to discuss one of rummy’s favourite version, Pool Rummy, so hang around. Pool Rummy is basically an exciting variation of the 13 Card Rummy game. Two to six players can play Pool Rummy and it is the player with the least score who wins the game. Pool Rummy is a simple game to learn and is quick paced. You can learn how to play Pool Rummy on RummyCulture; all you have to do is register and join us online. There is a fixed entry fee that every player pays before the game of Pool Rummy but practice games are free, as always. The two types of Pool Rummy you can explore are 101 Pool Rummy and 201 Pool Rummy. It is the player with the minimum score who will be considered the winner. The overall count in 101 Pool Rummy is 80 points. The first drop equals 20 points, a middle drop is worth 40 points and a full count is 80 points. There are jokers in Pool Rummy, they are two wild card jokers and cut jokers in all rounds. First Hand Show in 101 Pool Rummy will be a maximum of 40 points. In order to have a successful show, it is essential that the player has a minimum of two lives, out of which, one has to be a pure life. The player who makes a valid show in 101 Pool Rummy gets 0 points. To calculate the point value for every other player in 101 Pool Rummy, the value of the dead cards in hands are considered. The points of every player at the end of every round are added to determine the status. In this version of Pool Rummy also, the minimum scorer at the end of the game will be the winner. The penalty that involves dropping the 201 Pool Rummy game is that the first drop is worth 25 points and a middle drop is worth 50 points. On a complete count in 201 Pool Rummy, a player acquires 80 points. If a player announces a first show of hand, the players will acquire 40 points. To make a winning show in 201 Pool Rummy, a player must make two lives, out of which one has to be a pure sequence. In 201 Pool Rummy, the point for every player is calculated by adding up the value of deadwood cards in hand. At the end of every round, the points are added up again to determine the status of the players. It is only when the points of the players at the table are less than 174, that players who have been removed can re-join the game. When a player gets a personal score of 201 points or above, the player is removed from further rounds and has to leave the table. Download rummy app to play Points Rummy, Deals Rummy and of course, Pool Rummy. You get cool rummy bonuses and can take part in exciting tournaments to win real cash. 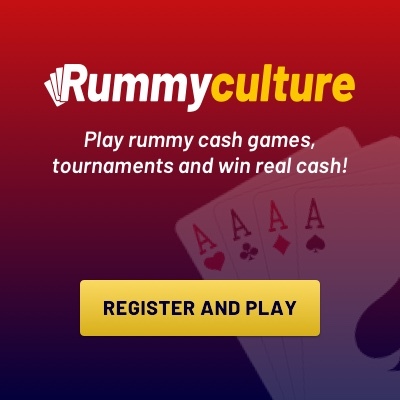 Get your Pool Rummy download on RummyCulture today!